I L.O.V.E granola! I love that you can add the ingredients that you like the best and not limit yourself to what a recipe calls for. So, that’s exactly what I did! I’m a big fan of variety when it comes to texture and flavor. 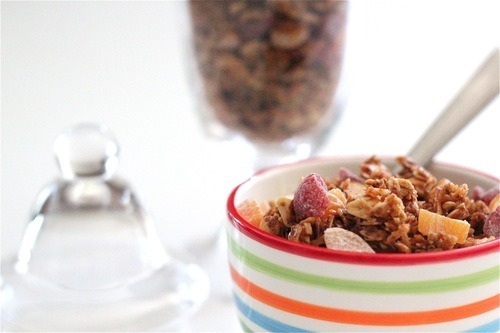 Therefore I have added a lot of both and it comes together beautifully in this colorful and flavorful granola! It is soooo yummy! And stays CRUNCHY in milk! Take that, quaker granola! But seriously, get creative and throw in the ingredients that you love best! 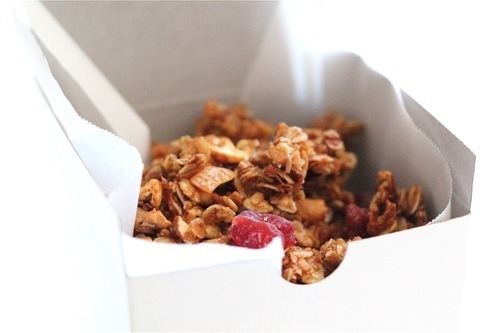 Happy Granola-ing! 3/4 cup dried strawberries (obviously if you can’t find these, cranberries are awesome too).